Welcome to Cozy Creek Cabin! 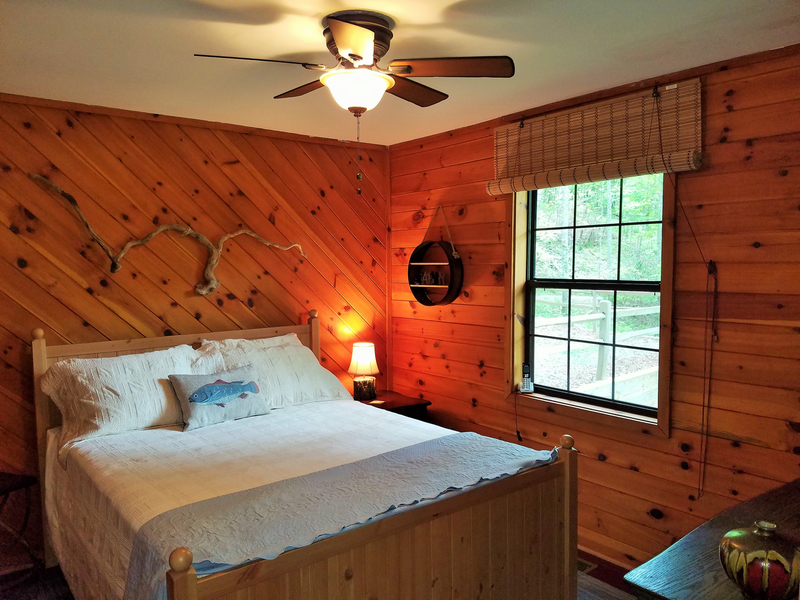 This cute Cozy Creek Cabin is nestled in the pristine mountains of North Georgia. 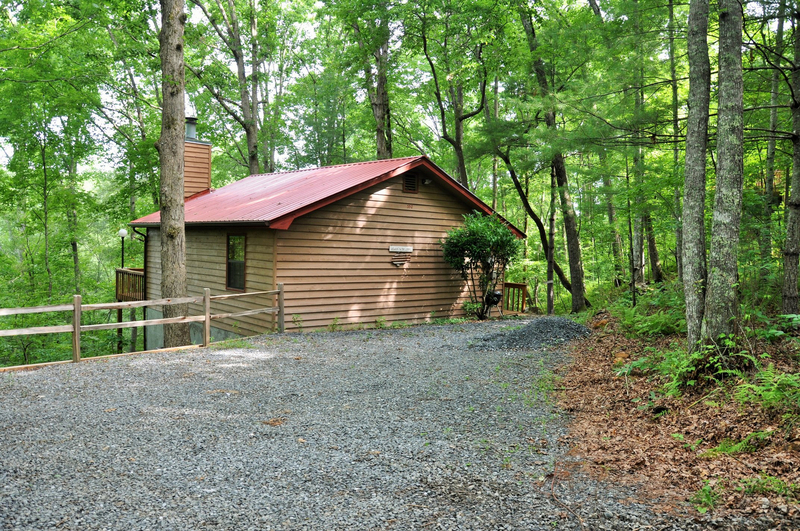 Located in Blue Ridge Mountains is this well maintained and well appointed Cabin on a Wooded lot with a little over an acre of land. 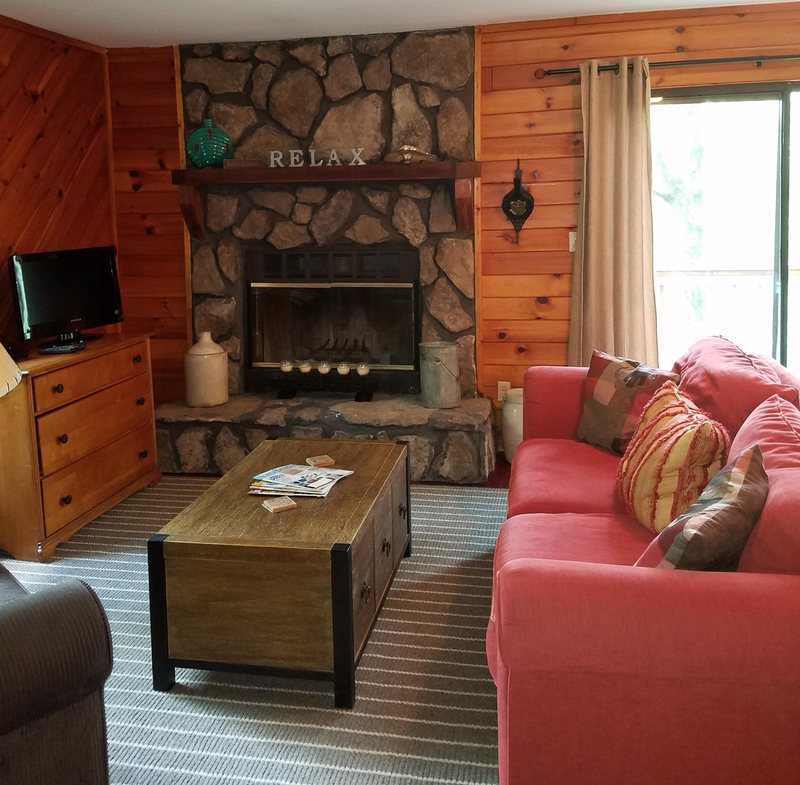 A perfect mountain getaway for a family or a few couple’s. 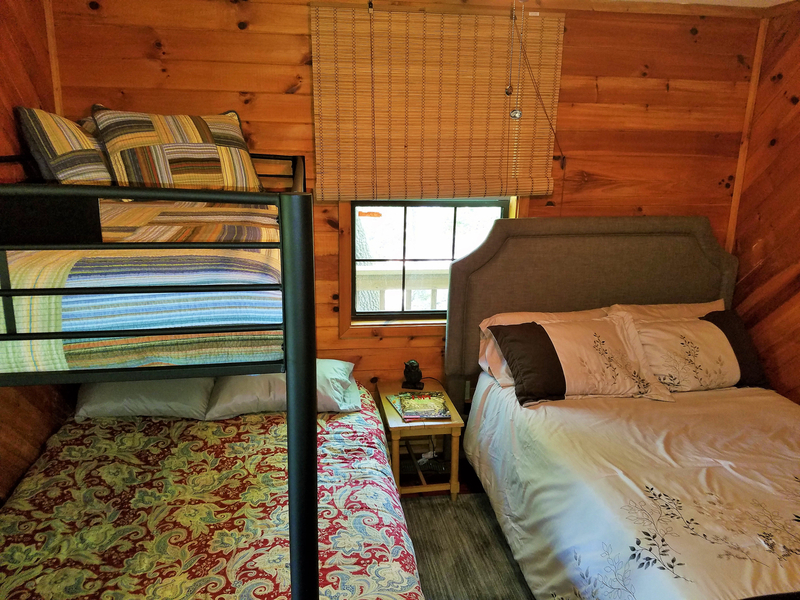 This 2 bedrooms/1 bathroom cabin is quaint yet so Cozy! 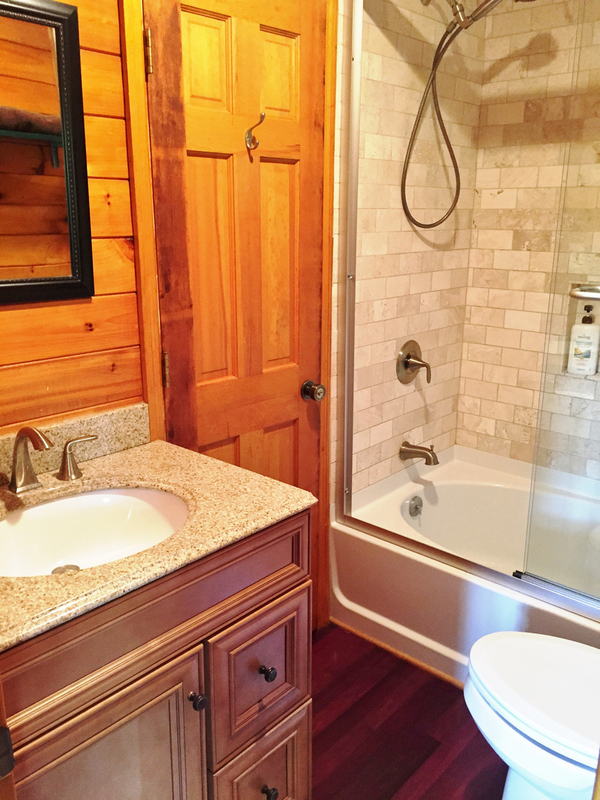 It has many new updates including all new flooring and a fully renovated bathroom. Bedroom 1 has a Queen bedroom with a window and a closet. Bedroom 2 has a queen bed, a full size futon sleeper/couch and a twin bunk above the futon and a closet. 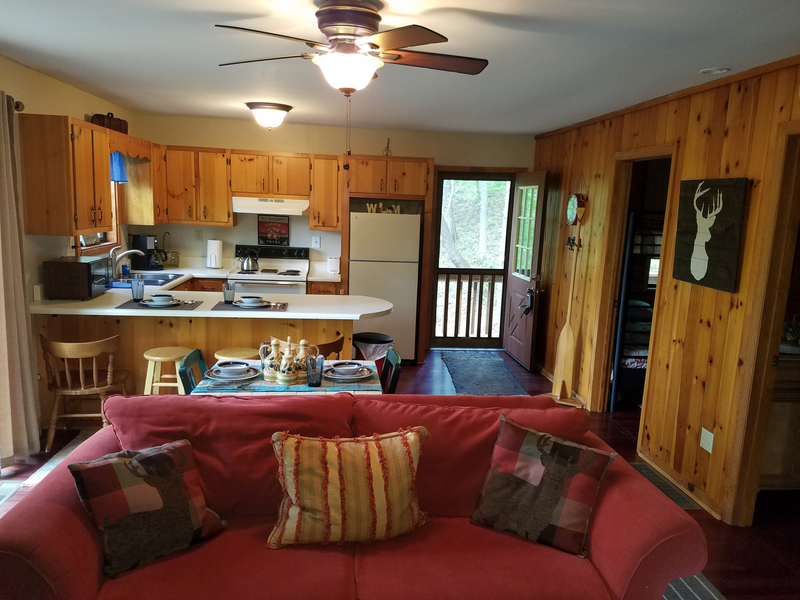 The small kitchen is equipped for your cooking needs and has a window overlooking the deck, sink, a stove, refrigerator and a microwave. 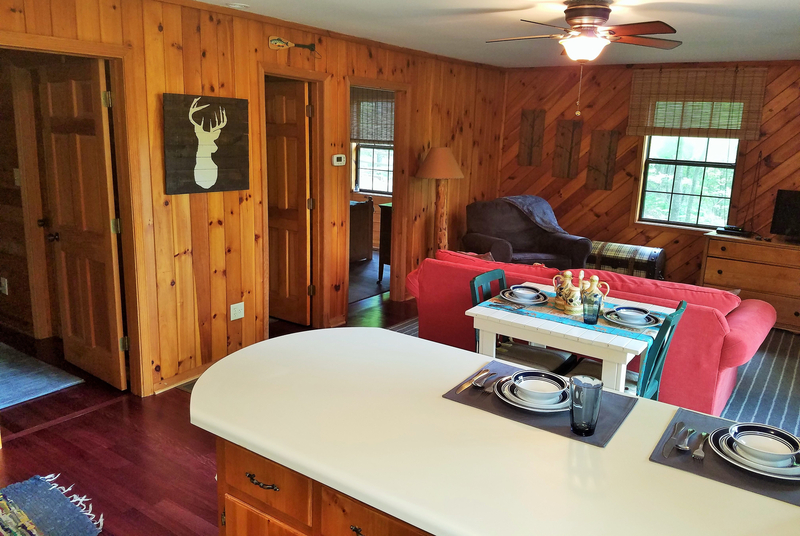 Dining seating areas include the Bar, kitchen table and outdoor dining on the deck and a picnic table by the creek. 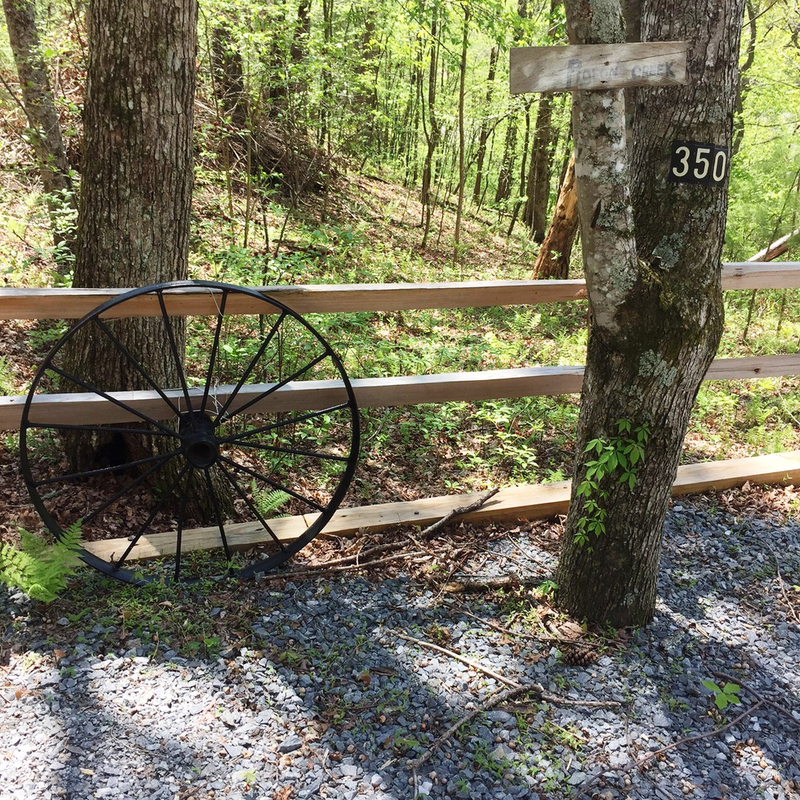 From the house it takes just a few minutes to walk down the path to the creek side where the picnic table sits under a Gazebo, near by you will see a cozy fire-pit with seating around sit back and watch the flames as you enjoy a camp like experience. Remember to bring your flashlights for the walk back up the trail if you enjoy a night time fire. If you want to stay in for the night snuggle up by the fireplace, enjoy the love and laughter of those who are with you. 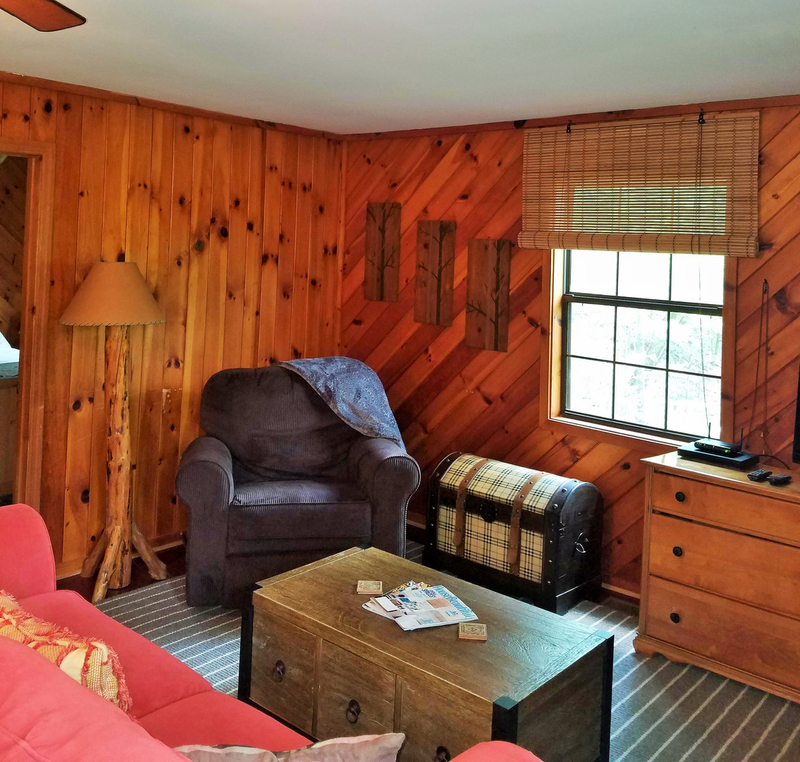 Weather you want to just get away from it all and relax in the tranquil solitude that surrounds you in this quaint property or you want to get out and enjoy your adventurous side this property can seem far enough from everything yet close enough to get out and enjoy the local attractions. 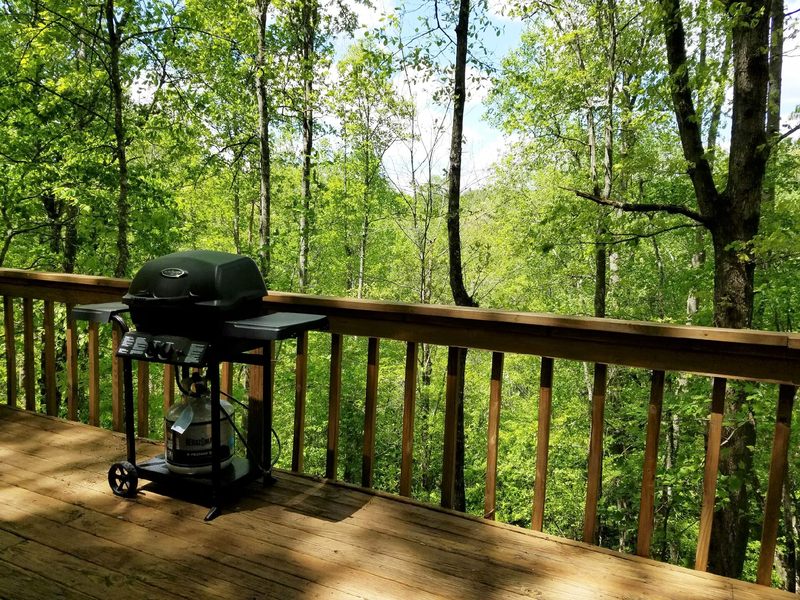 The property is large enough to explore the grounds, picnic by the Creek, and watch wildlife from the deck where you feel like you are on the tree tops! Just a 20 minute drive into the Popular Downtown Blue Ridge area where you can wine and dine or shop till you drop. Downtown Blue Ridge has many festivals throughout the year some popular ones are Fire and Ice festival, Arts Festivals and many more. 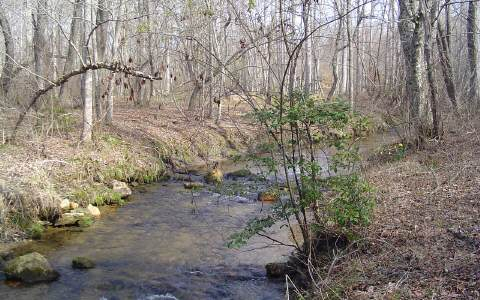 If you enjoying Hiking start your Hike right from the property, or drive 5-10 minutes away where you will find nearby trails. 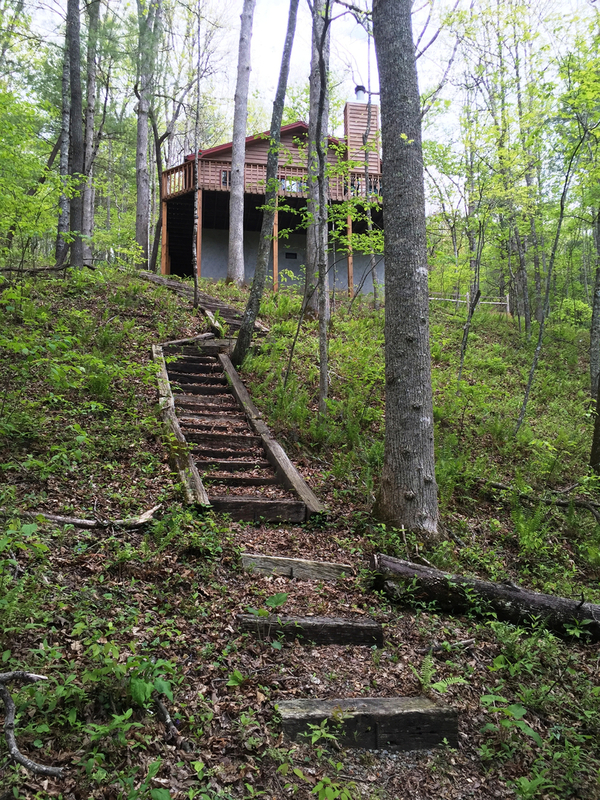 Mountain Biking and waterfalls galore (over 14 waterfalls nearby and more if you drive a bit further) Sea Creek Falls, The Swinging Bridge, Amicalola Falls and many other waterfalls. 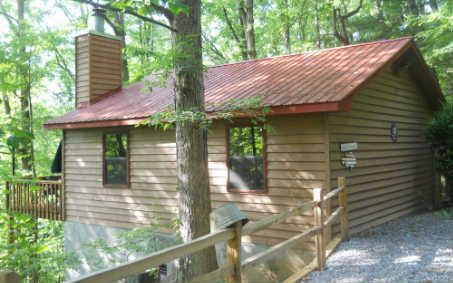 National Forrest is 10 minute drive, close to The Appalachian Trail, Benton MacKaye, Jacks River Falls and Aska Trail Systems. 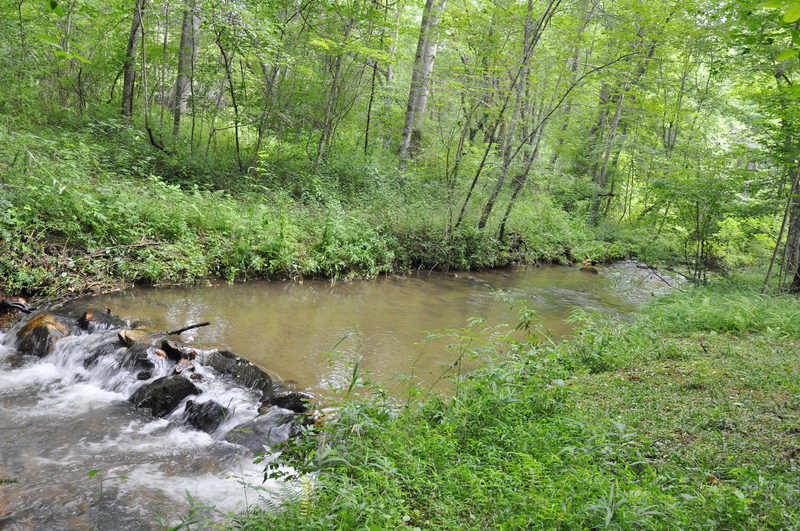 Lots of Mountain Activities such as: White water rafting, horseback riding, hiking, mountain biking, Fly Fishing, Kayaking, Canoeing and even boating on the near by Lake Blue Ridge. 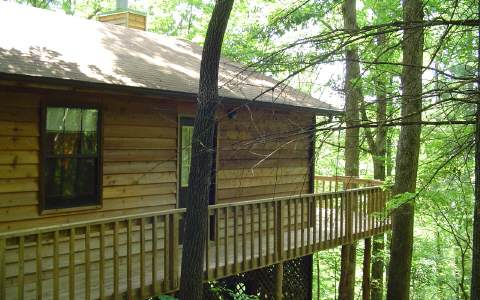 So Book Cozy Creek Cabin now where you will create many memories to enjoy for years to come! 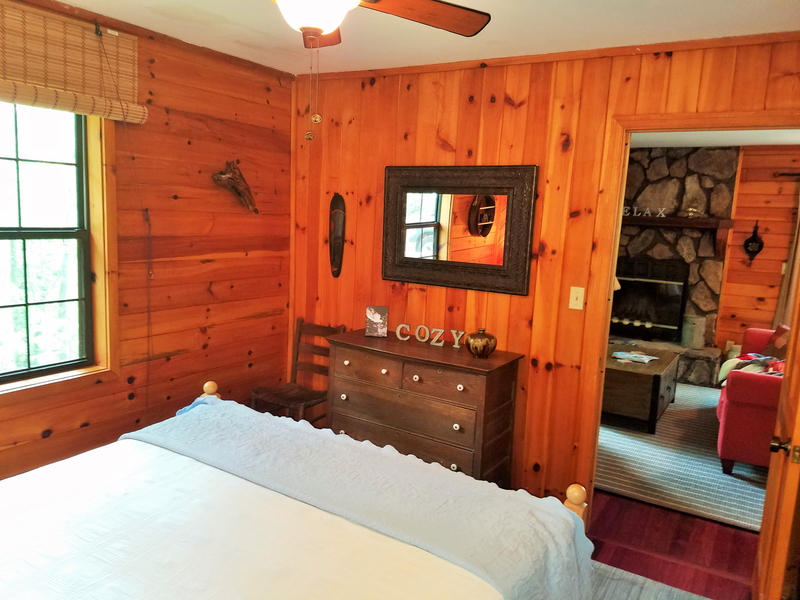 Please contact Ashley @ 678-481-5638 directly if you are interested in booking Cozy Creek Cabin or click here for more details.